Keiko Furukura had always been considered a strange child, and her parents always worried how she would get on in the real world. So when she takes a job in a convenience store while at the university, they are delighted. For her part, she finds a predictable world in the convenience store, mandated by the store manual, which dictates how the workers should act and what they should say, and she copies her coworkers' style of dress and speech patterns so that she can play the part of a normal person. However, eighteen years later, at age thirty-six, she is still in the same job, has never had a boyfriend, and has only a few friends. She feels comfortable in her life but is aware that she is not living up to society's expectations, causing her family to worry about her. When a similarly alienated but cynical and bitter young man comes to work in the store, he will upset Keiko's contented stasis-but will it be for the better? Sayaka Murata brilliantly captures the atmosphere of the familiar convenience store that is so much a part of life in Japan. With some laugh-out-loud moments prompted by the disconnect between Keiko's thoughts and those of the people around her, she provides a sharp look at Japanese society and the pressure to conform, as well as penetrating insights into the female mind. 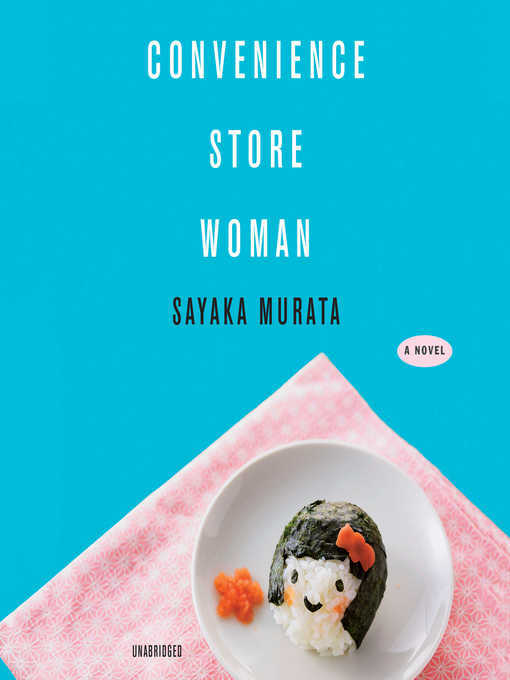 Convenience Store Woman is a fresh, charming portrait of an unforgettable heroine that recalls Banana Yoshimoto, Han Kang, and Amelie.